Expediting Long Island hires only skilled licensed professionals for their own projects, and those same professionals are always ready to be hired by you and draw up the plans for your next construction project. Whether you're undertaking a simple garage conversion or looking to add a whole new level or dormer to your home the licensed professionals can provide you with the plans necessary for the project. Once approved by you, Terry Connelly can file them with your town's local building department, helping you obtain all necessary permits and certificates of occupancy for the new addition. Let E.L.I. 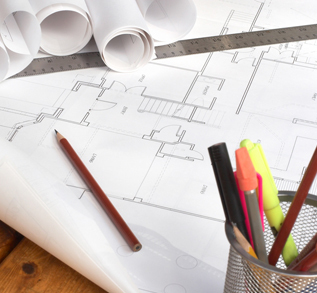 help you visualize and design the perfect addition to your home or building. From sitting down with you and conceptualizing the design to actually making these changes happen, we're with you every step of the way. Our associated professionals will come to your home to take accurate measurements, then prepare preliminary drawings to meet your approval. Once you've made any necessary modifications or changes to suit your needs a plan will be drawn up and signed off on. With Terry's expertise, your drawings will be speedily filed with the building department and he will work to get them quickly approved. Our goal is to expedite the legalization of your permits so you can begin the construction process as soon as possible. No matter what you're planning to do, E.L.I. 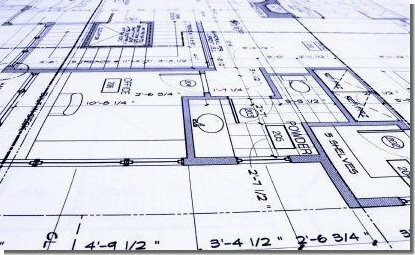 can help you draft up and file the correct building plans. With over 20+ years experience in the construction field, Terence Connelly has expedited everything from small residential additions to larger commercial jobs out on the east end of Long Island. He's helped design, draw up, and build large portions of Pindar, Duckwalk, and Jason's Vineyards, as well as draft many other large projects in both Nassau and Suffolk counties. Please don't hesitate to Contact Us, or call Expediting Long Island anytime for a free consultation at 631-772-4600.